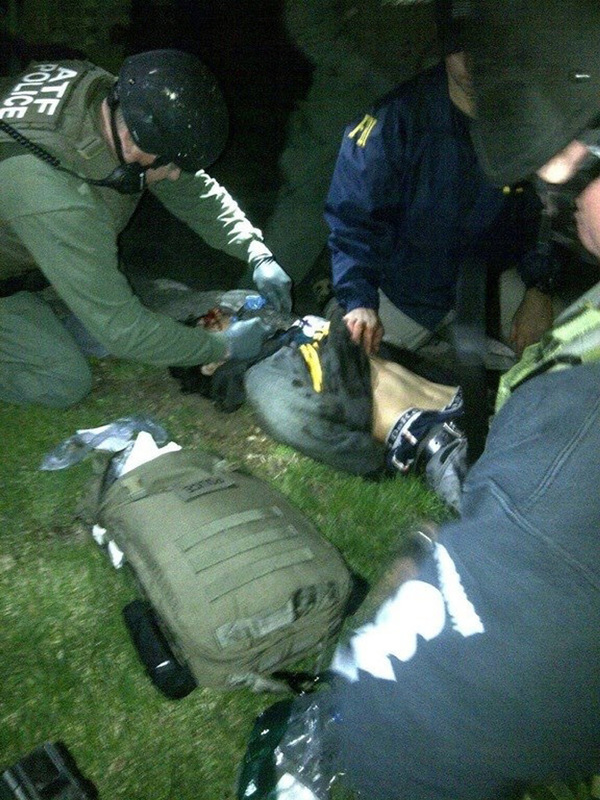 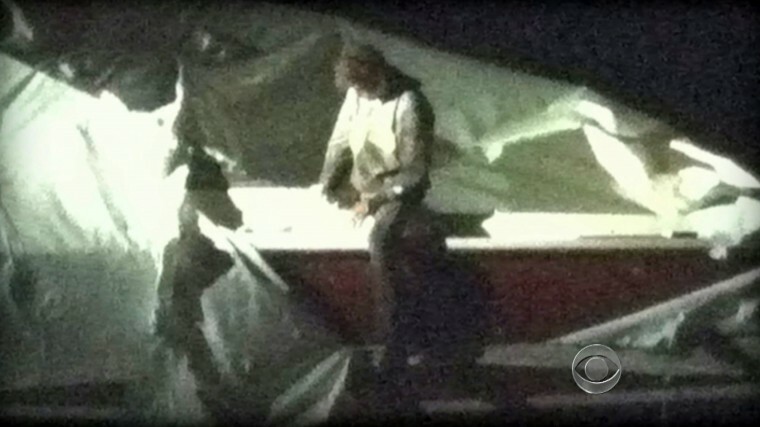 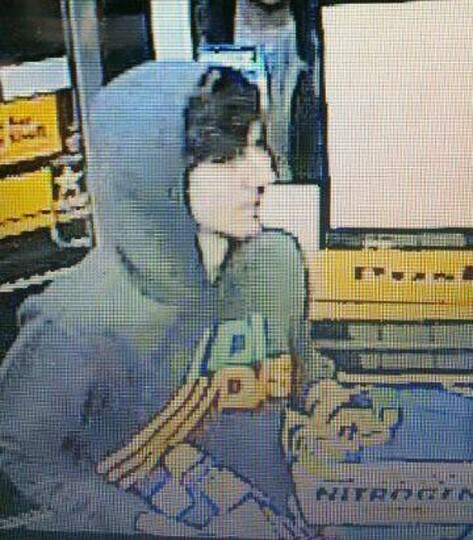 This image obtained April 19, 2013 courtesy CBS News shows Dzhokhar Tsarnaev, a suspect in the Boston Marathon bombing who was captured Friday night, April 19, 2013 after he was found hiding in a boat in a Boston suburb. 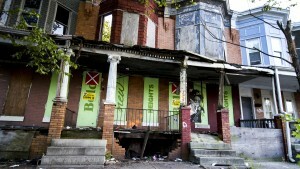 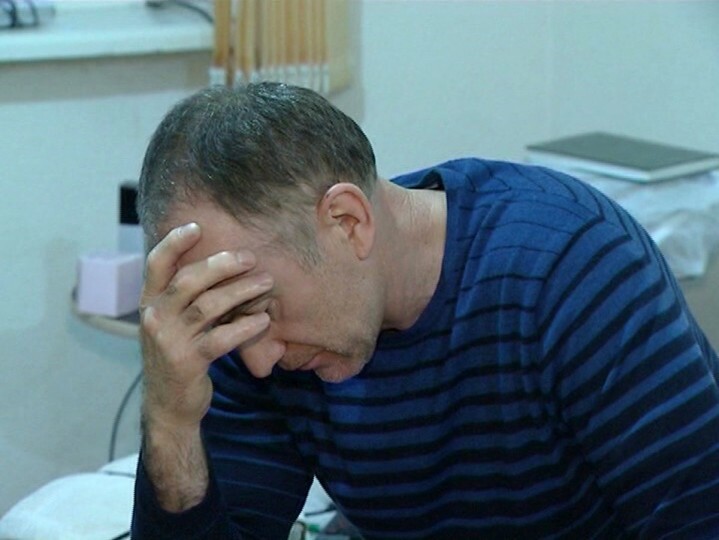 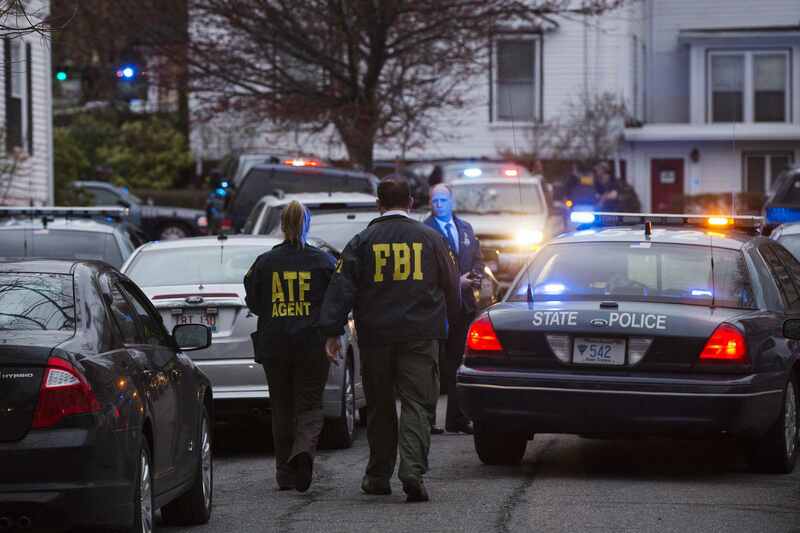 US police captured an ethnic Chechen teenager suspected of staging the Boston marathon bombings, after a massive manhunt that virtually shut down the city and its suburbs. 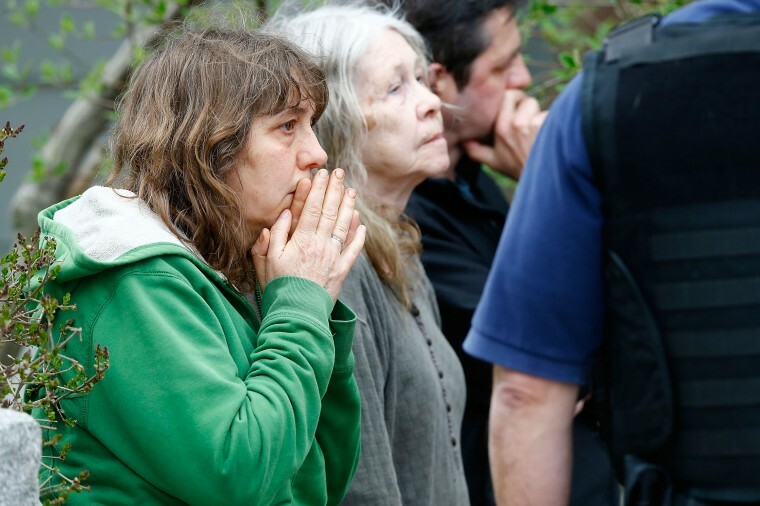 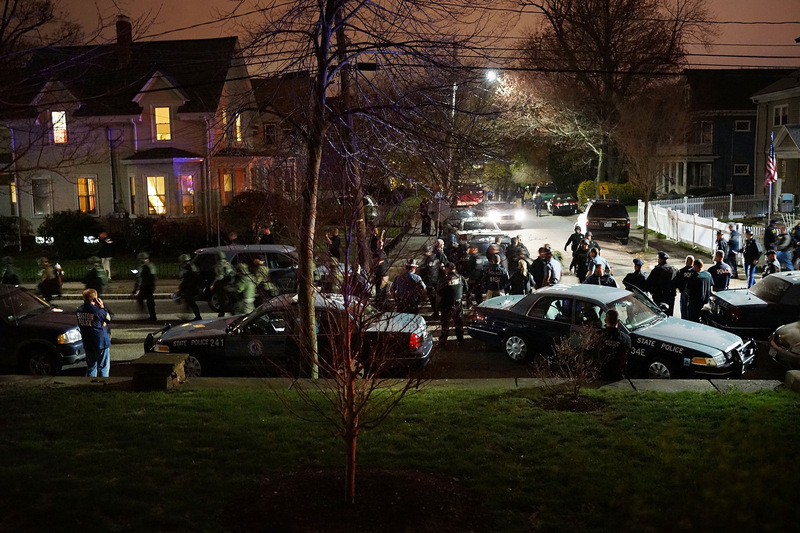 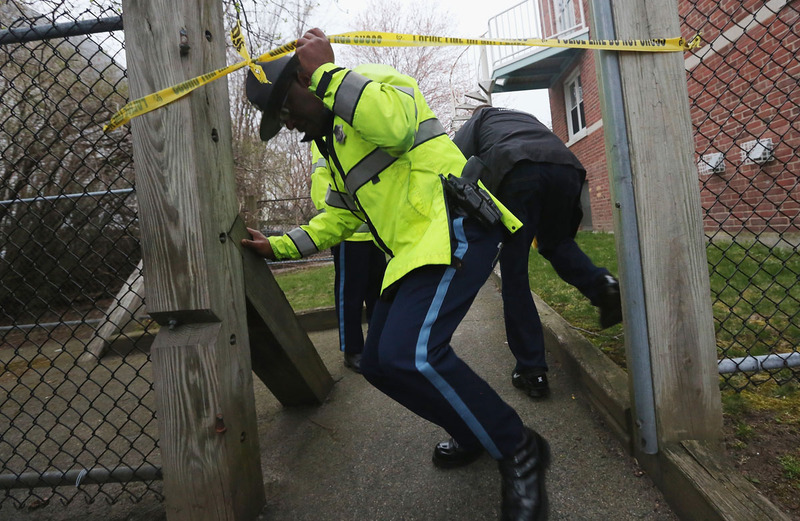 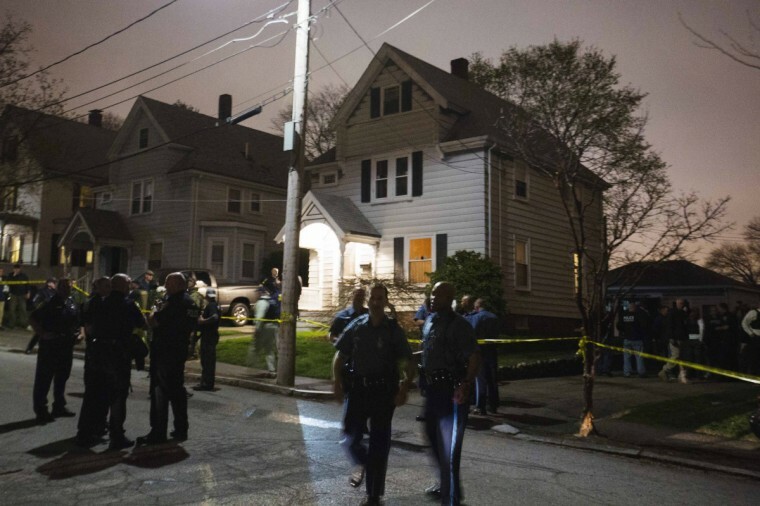 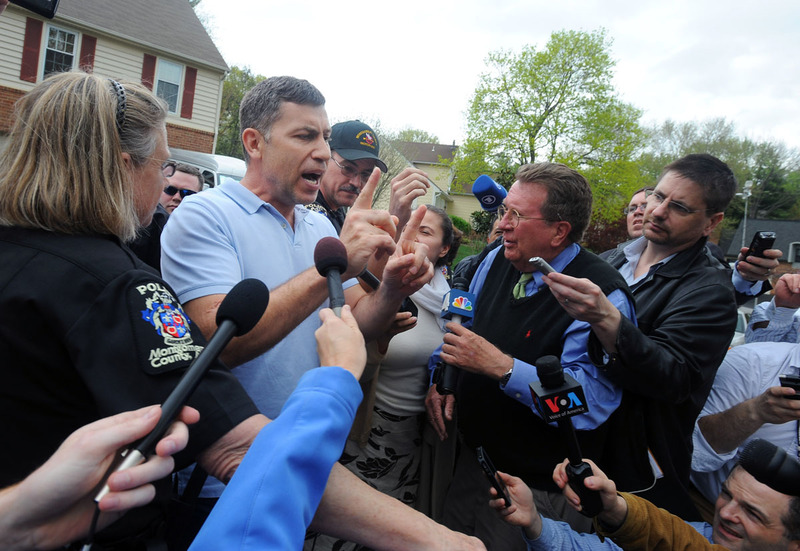 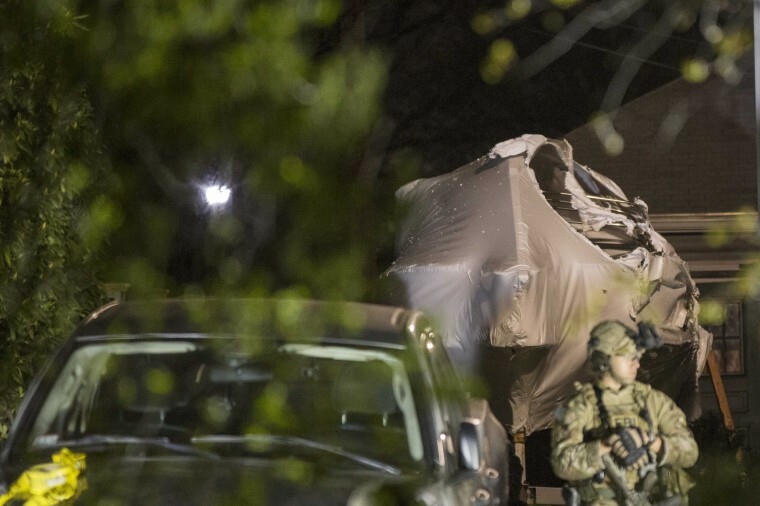 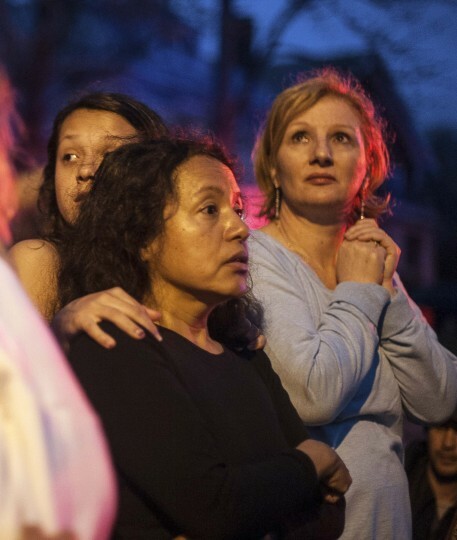 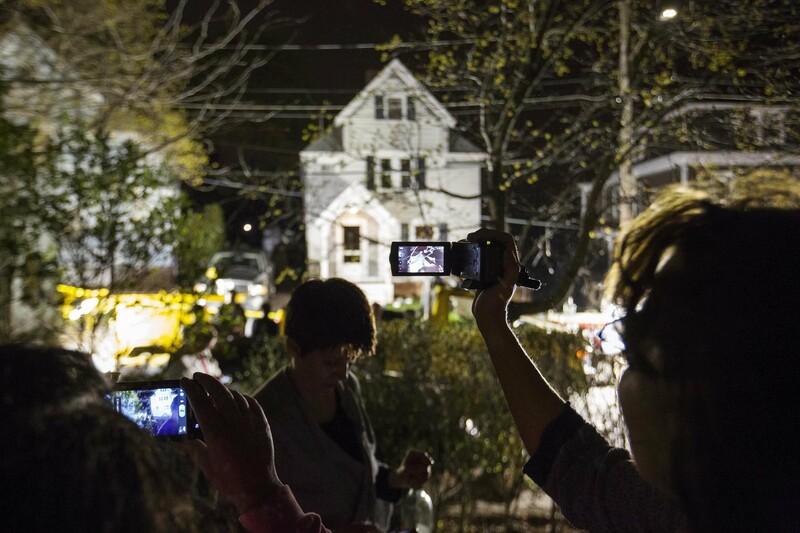 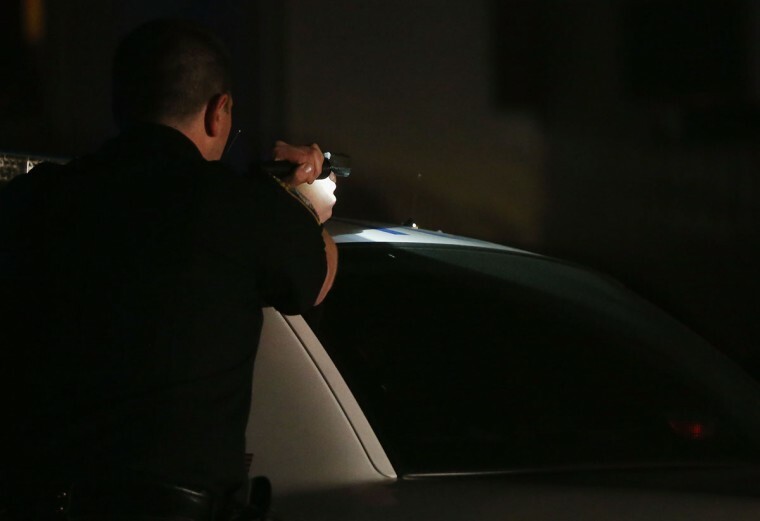 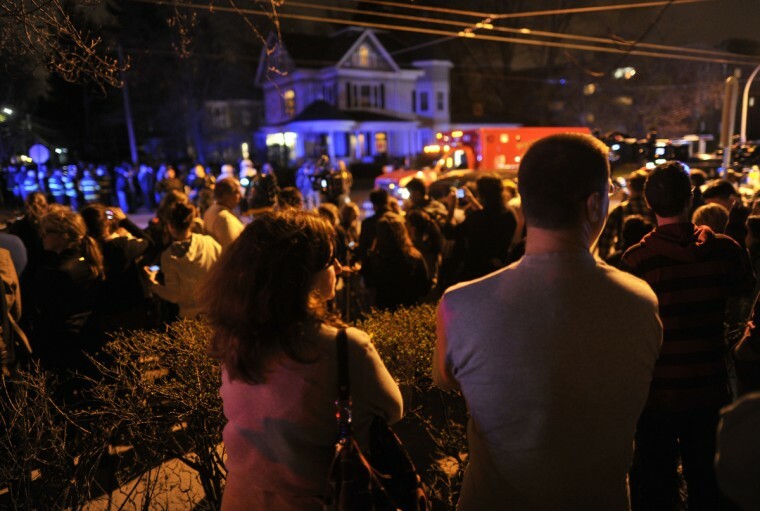 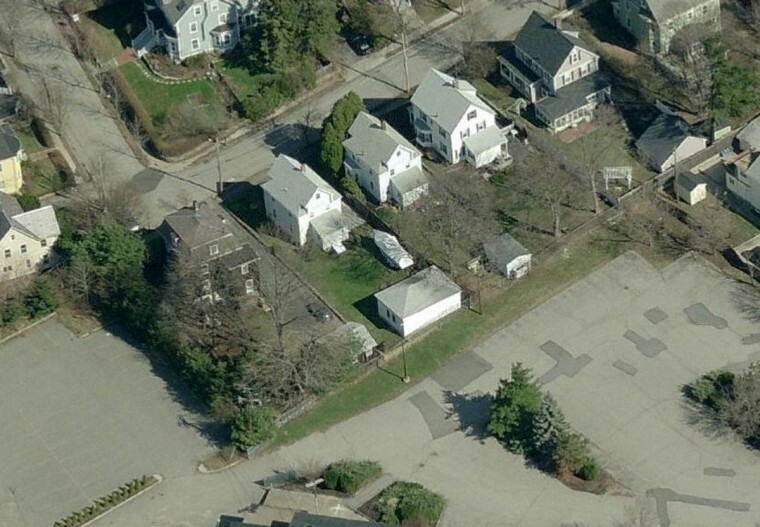 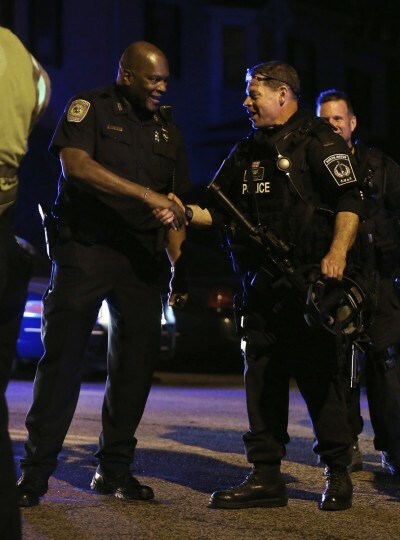 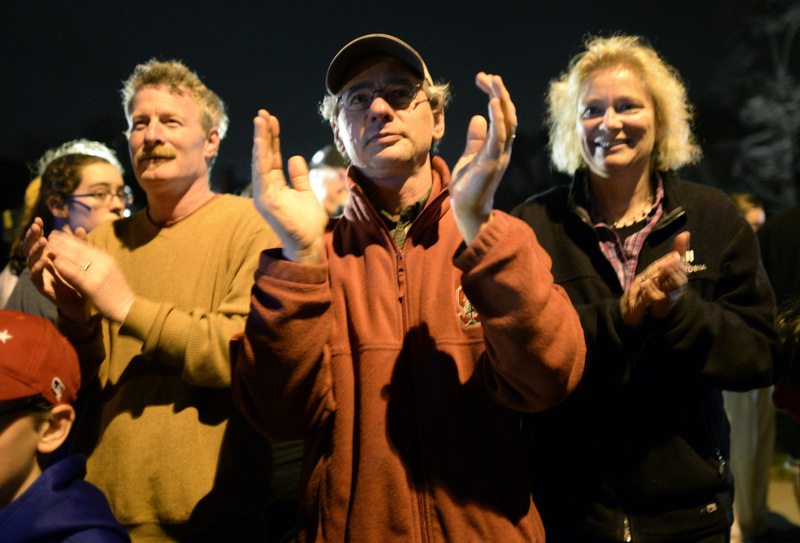 After a tip from a local resident, police found Dzhokhar Tsarnaev, 19, hiding in a boat in a suburban backyard in Watertown, wounded and weary after a gun battle with police overnight in which his accomplice brother was killed. 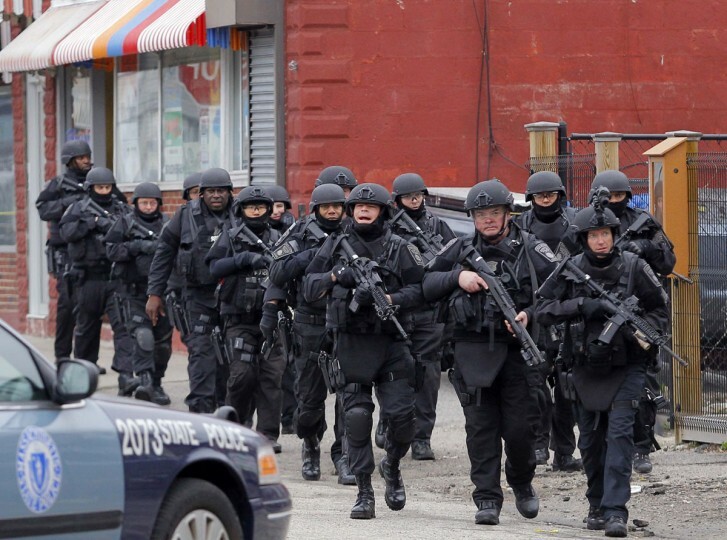 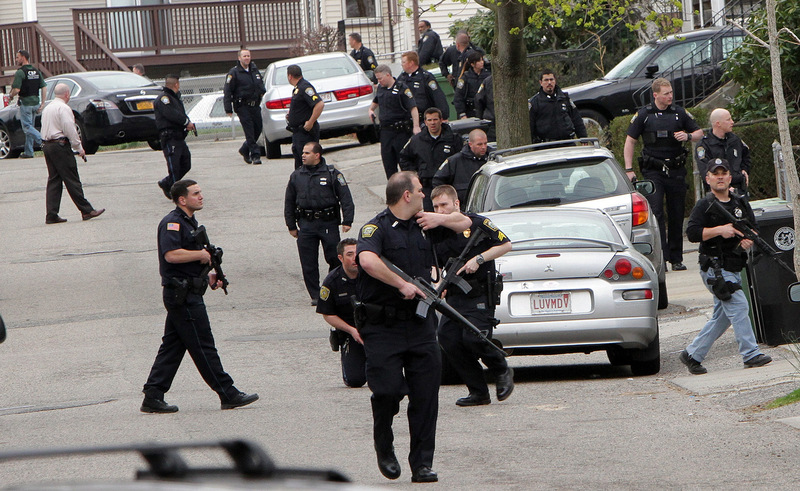 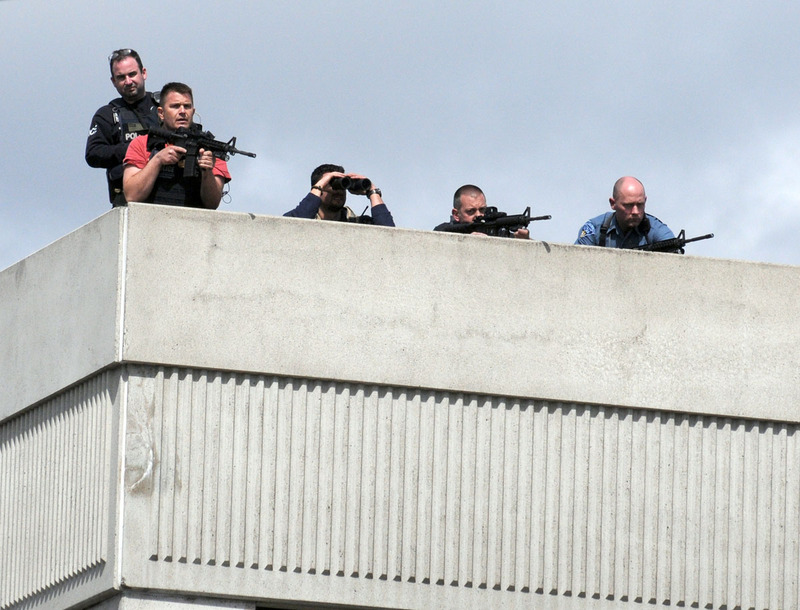 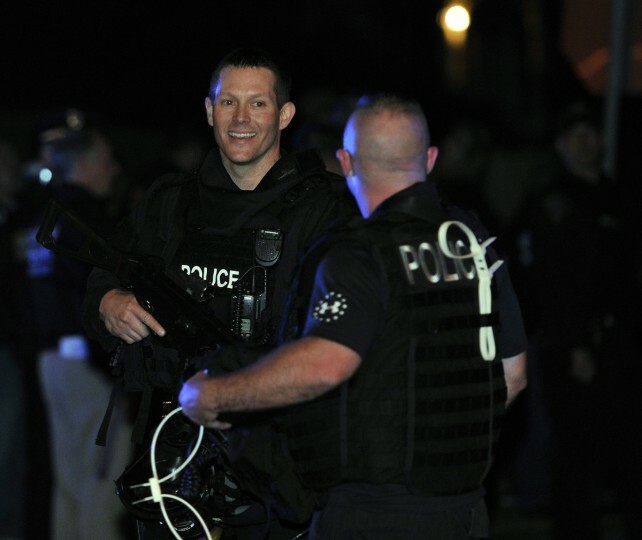 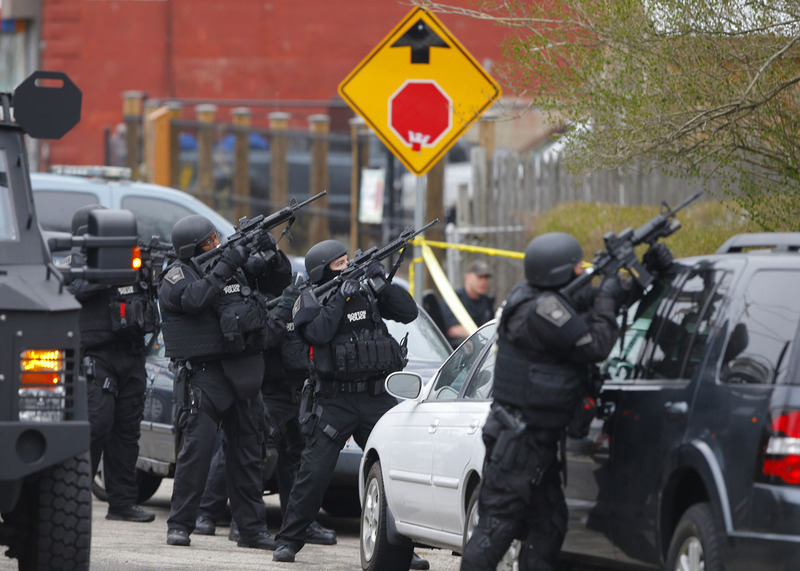 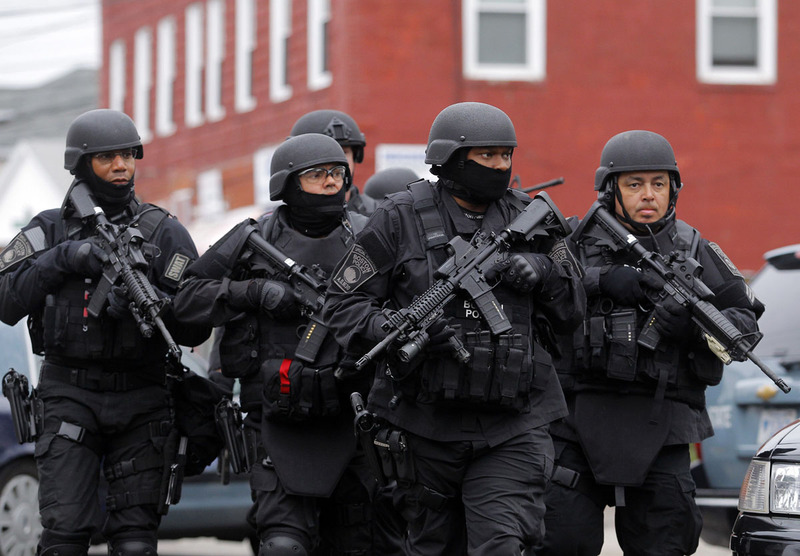 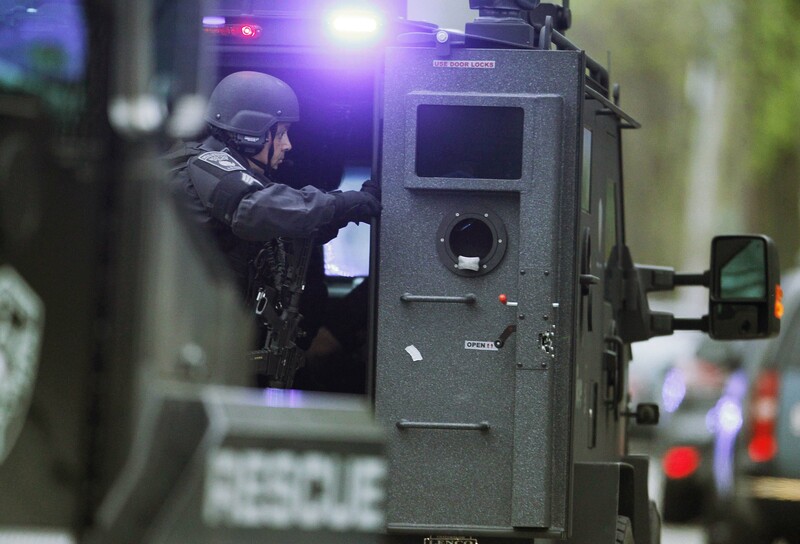 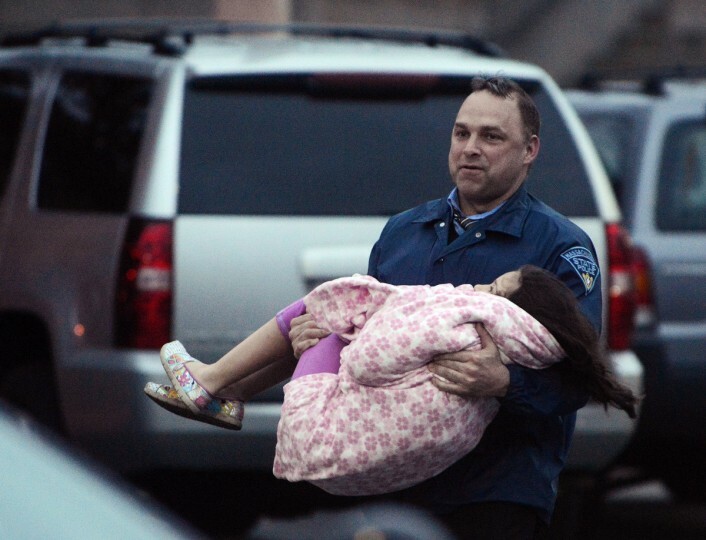 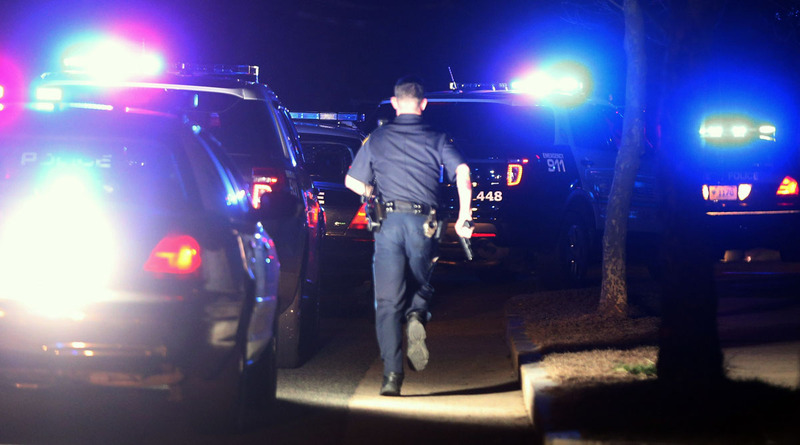 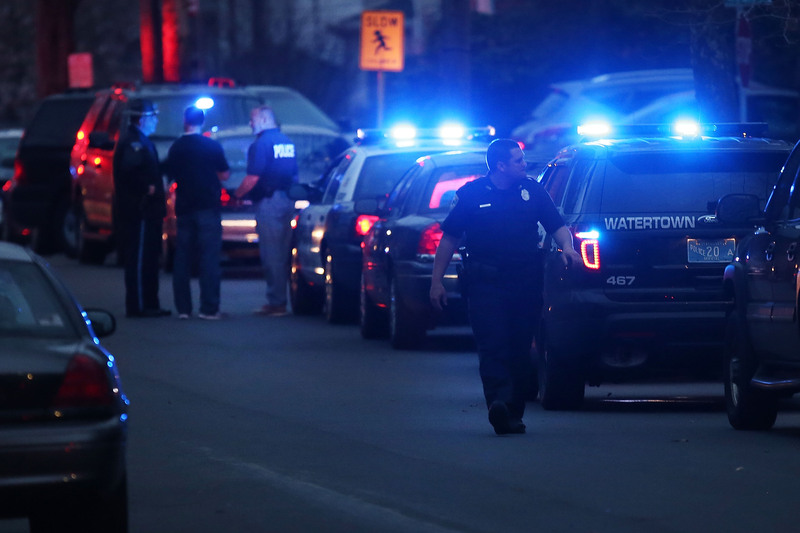 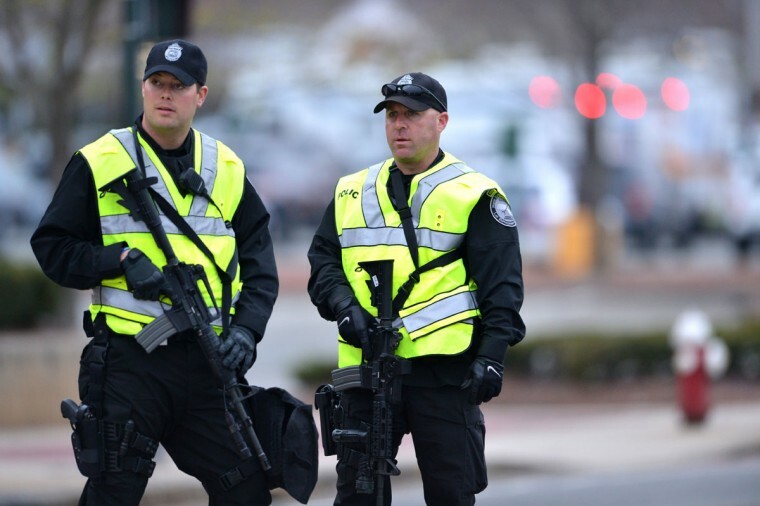 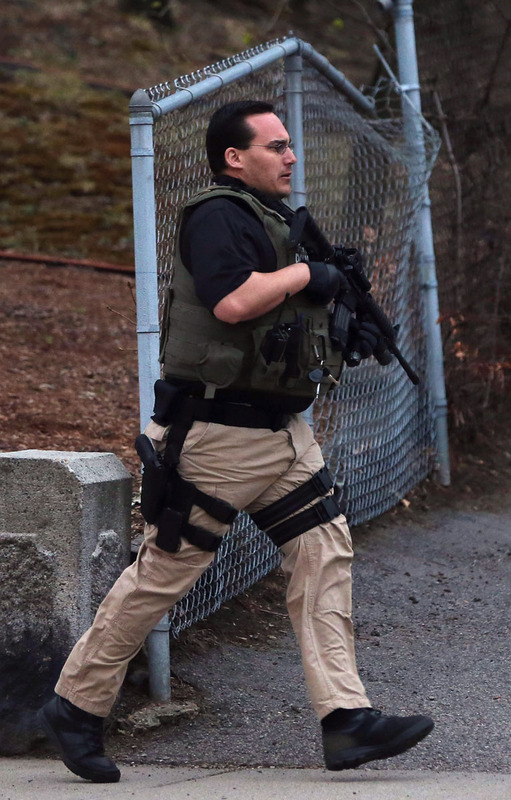 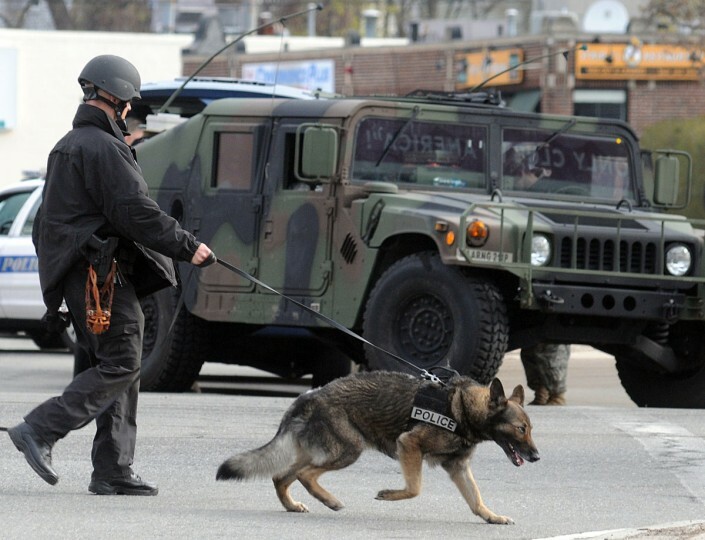 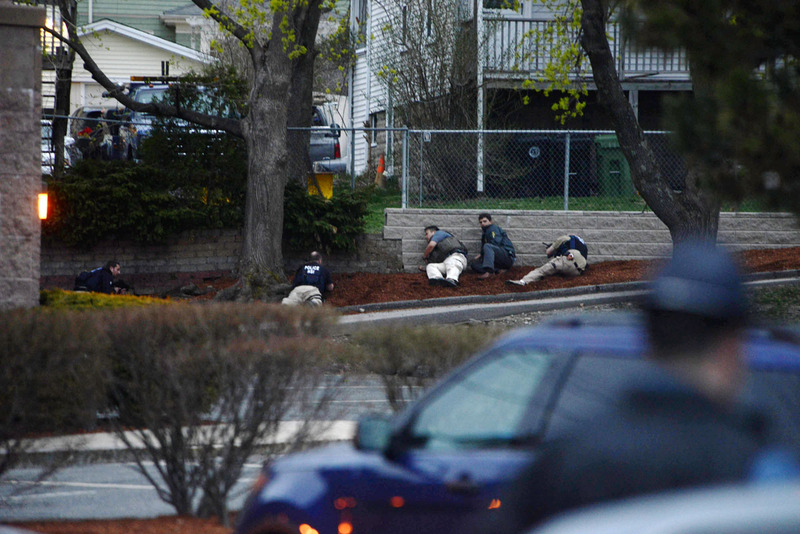 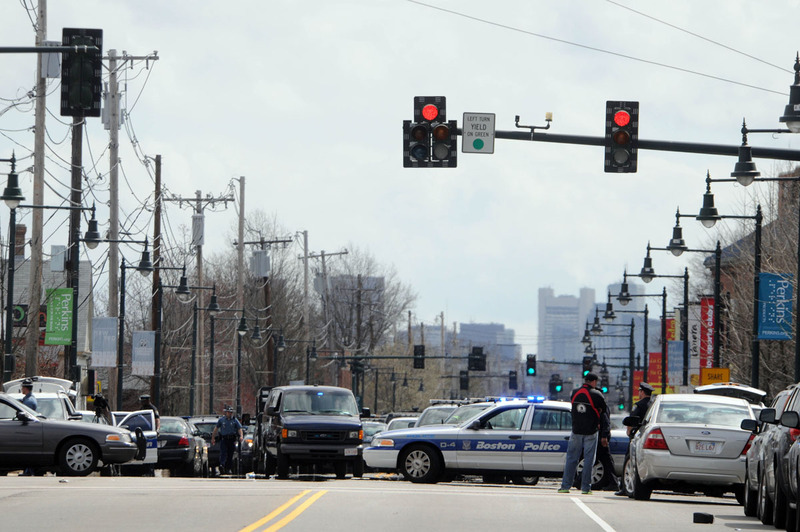 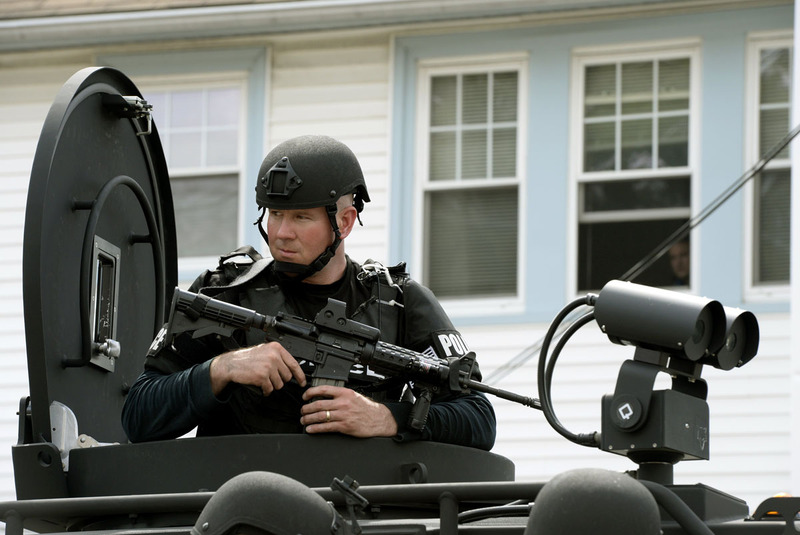 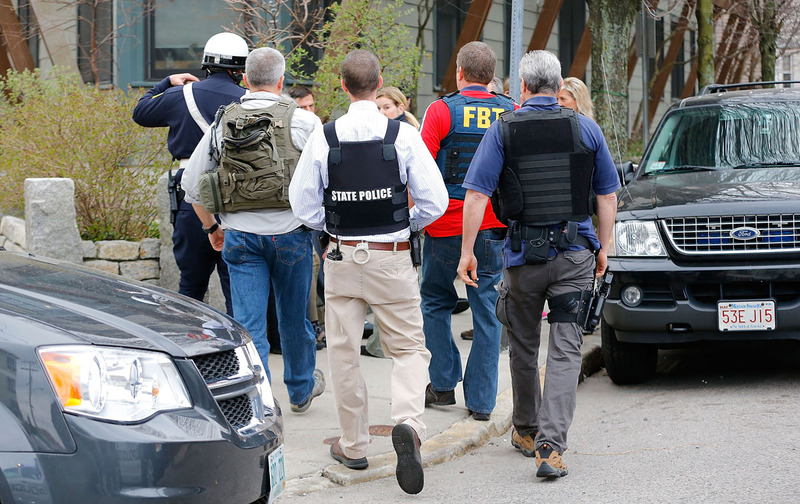 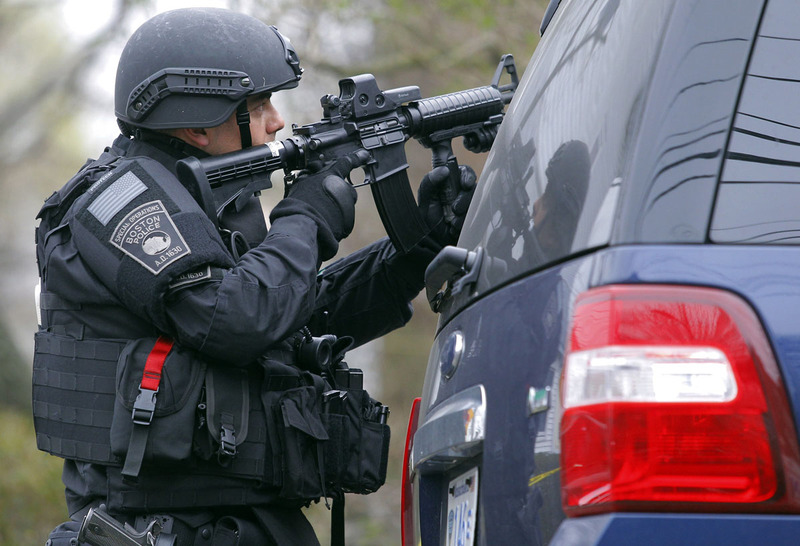 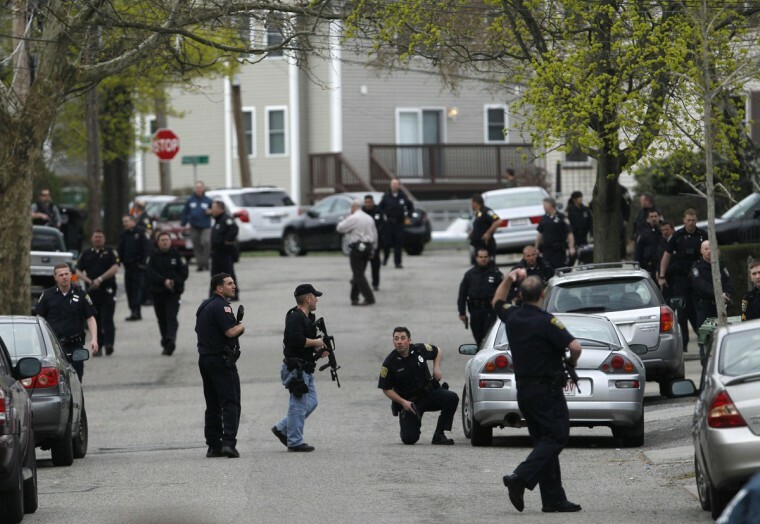 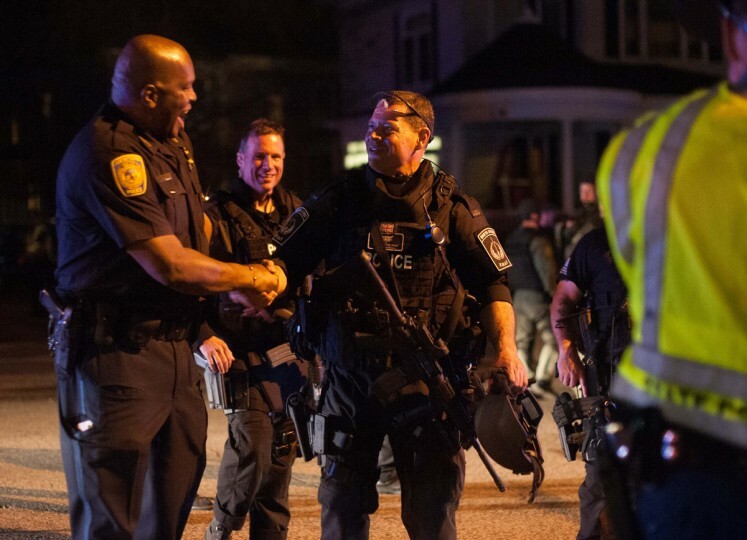 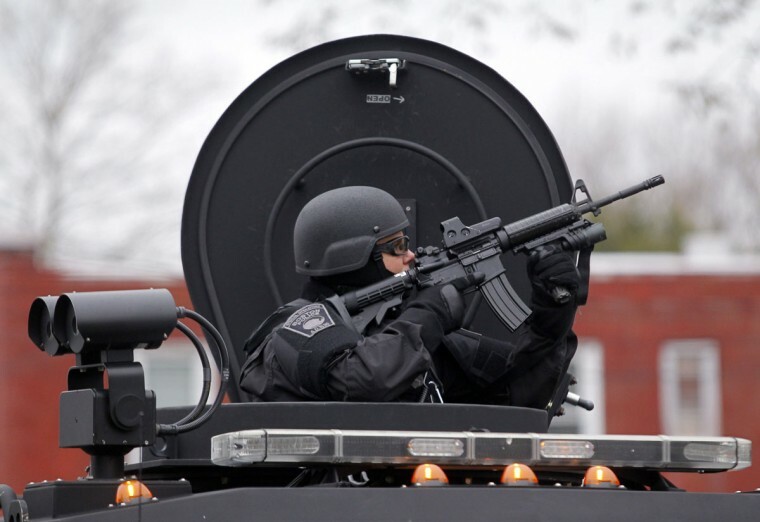 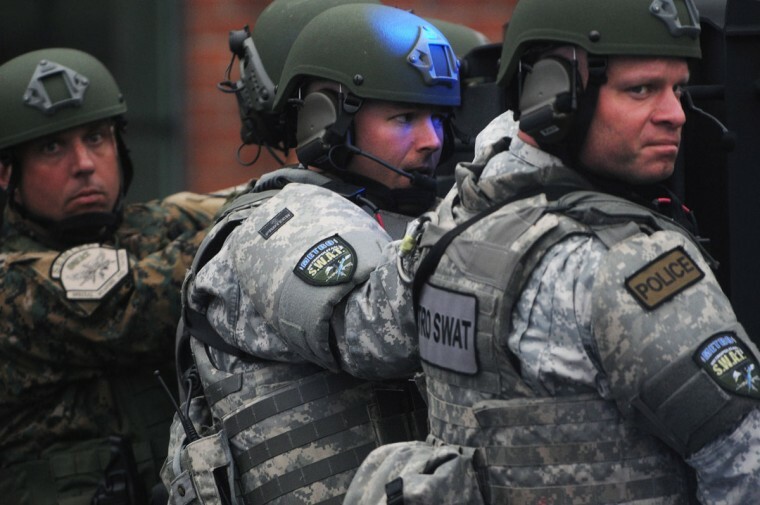 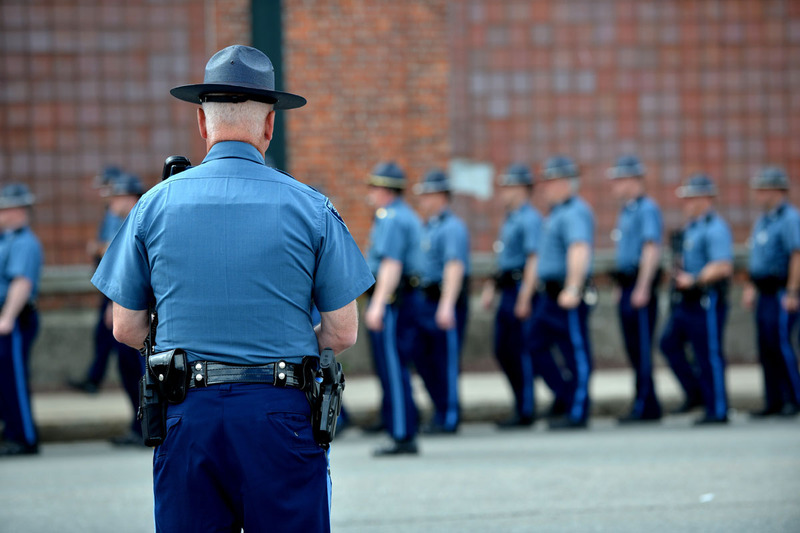 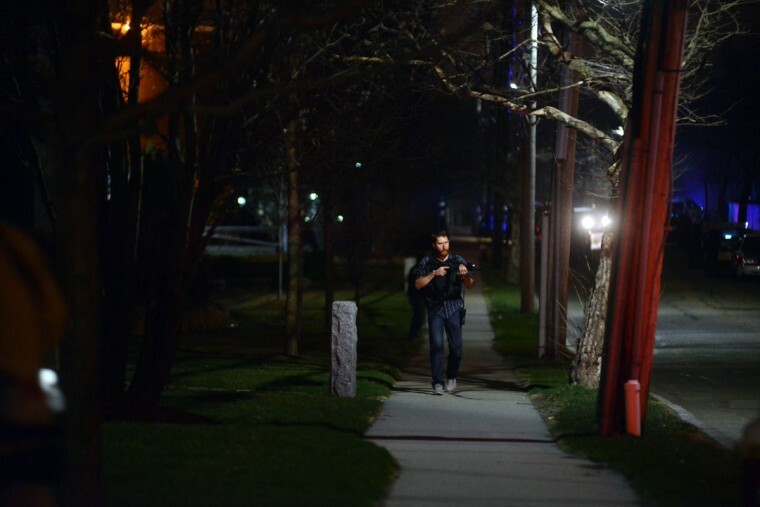 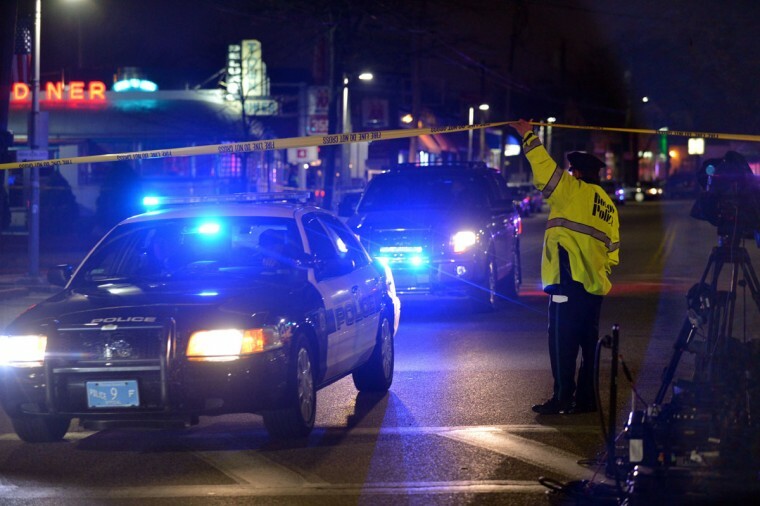 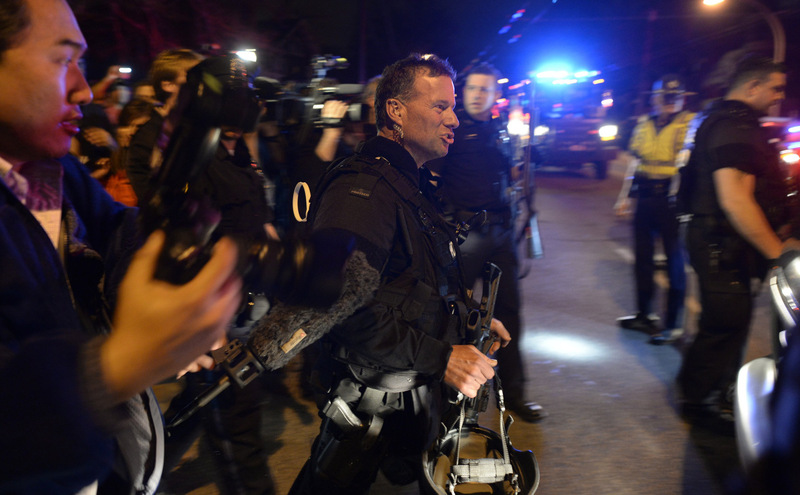 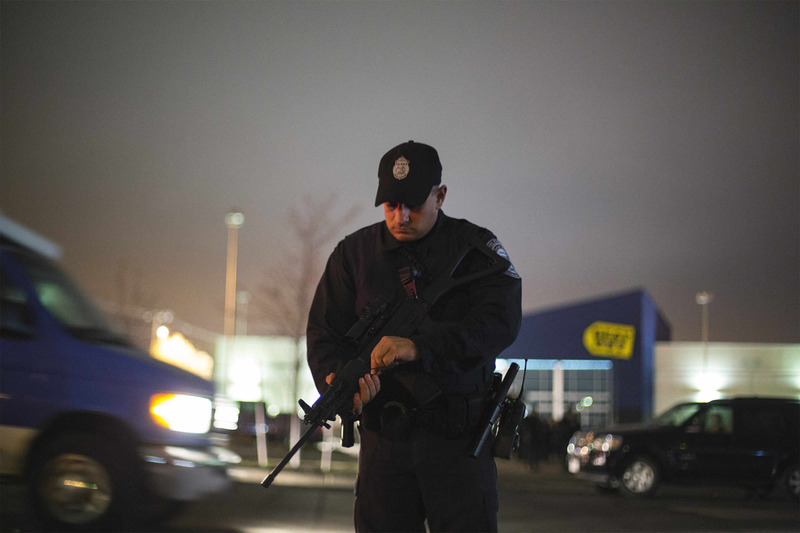 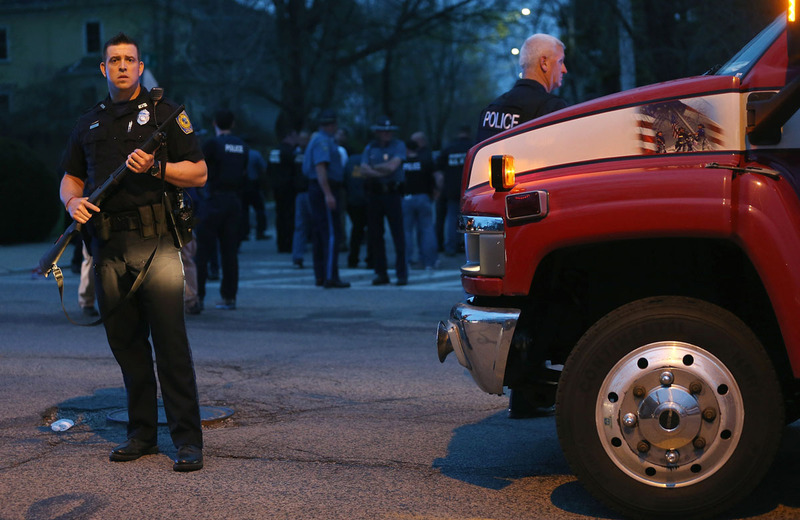 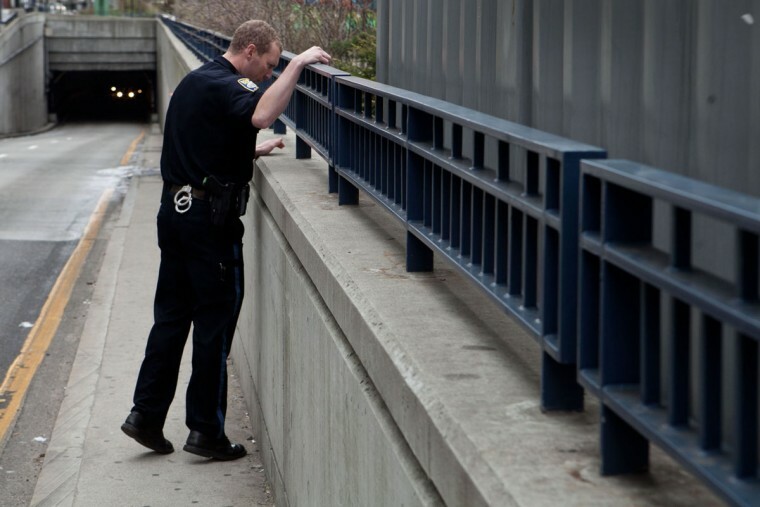 Many different law enforcement agencies descend on an area around Franklin Street on April 19, 2013 in Watertown, Massachusetts. After a car chase and shootout with police, one suspect in the Boston Marathon bombing, Tamerlan Tsarnaev, 26, was shot and killed by police early morning April 19, and a manhunt is underway for his brother and second suspect, 19-year-old Dzhokhar A. Tsarnaev. 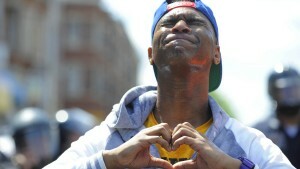 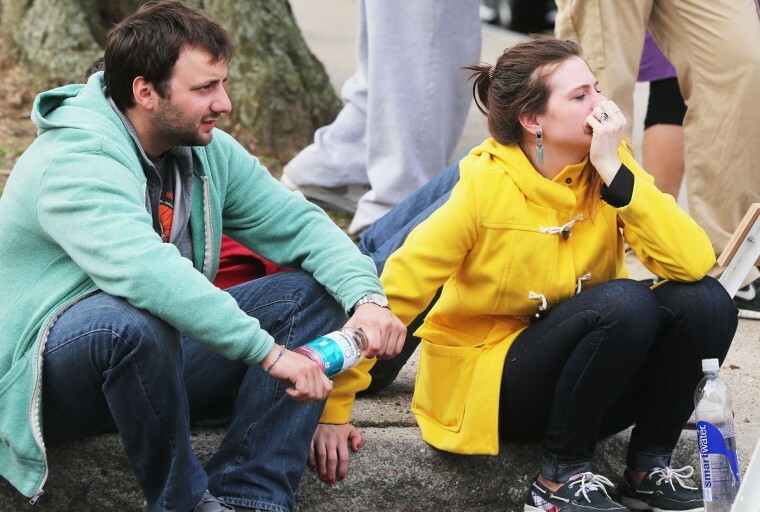 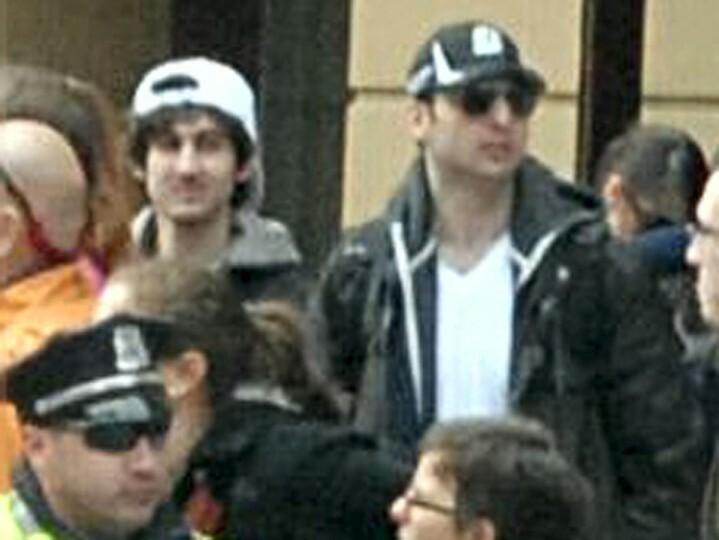 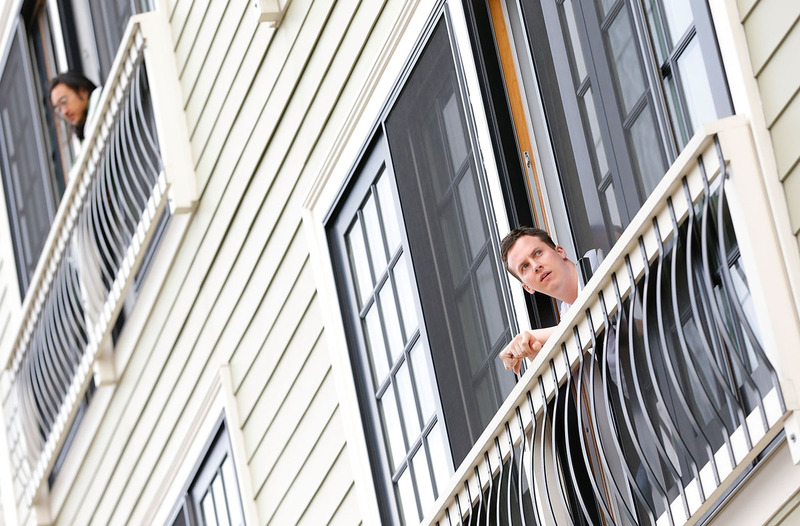 The two men are suspects in the bombings at the Boston Marathon on April 15 that killed three people and wounded at least 170. 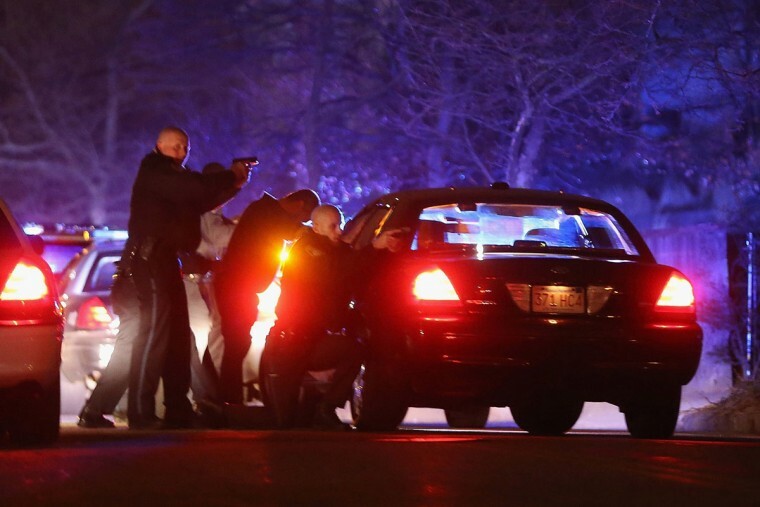 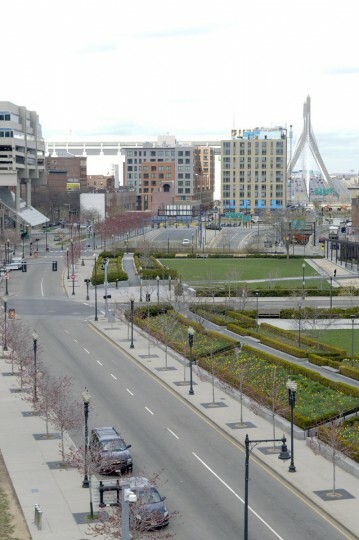 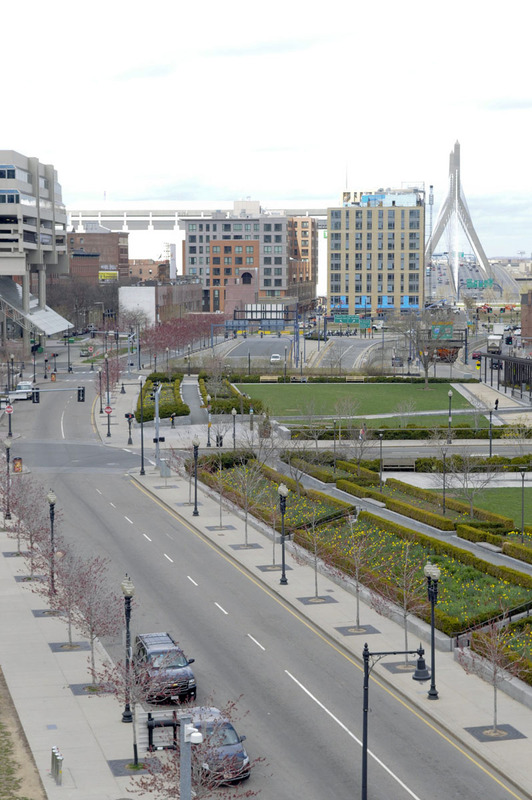 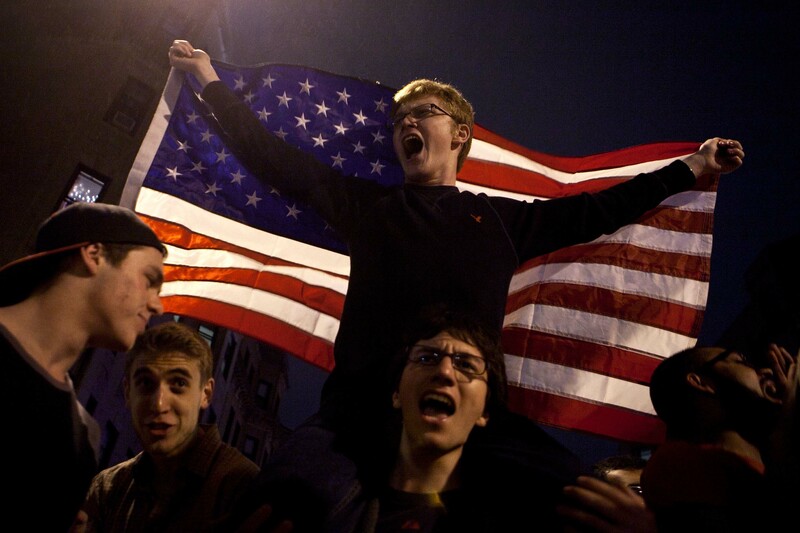 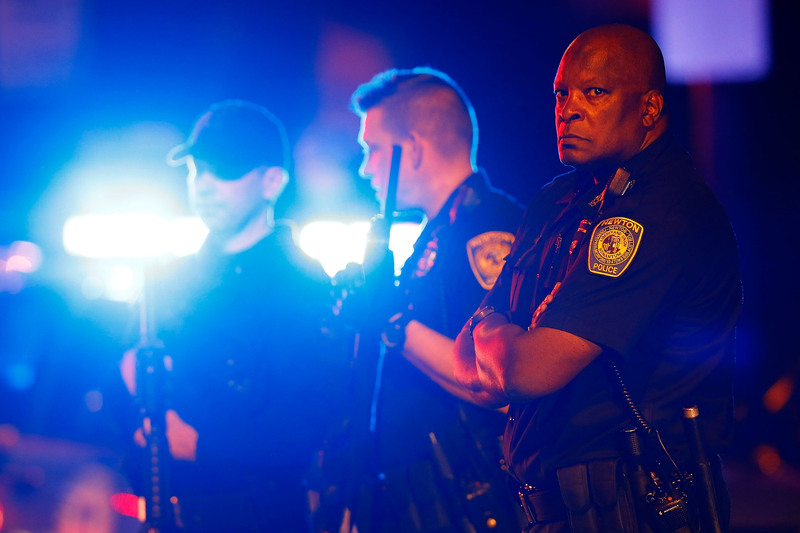 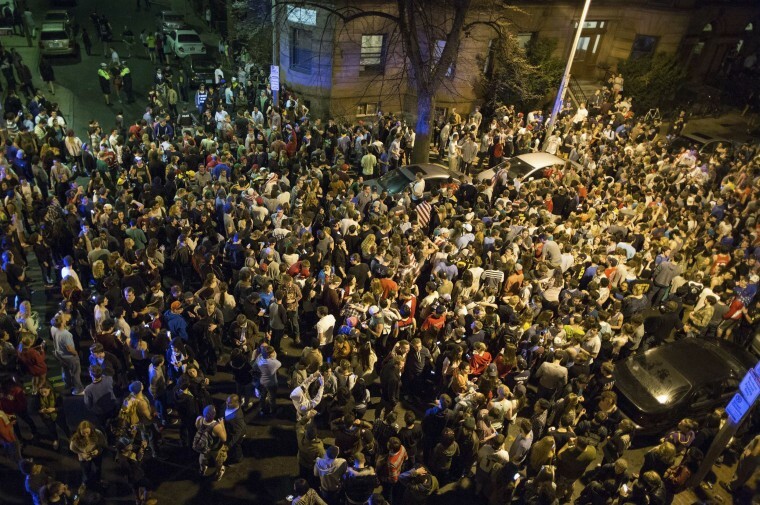 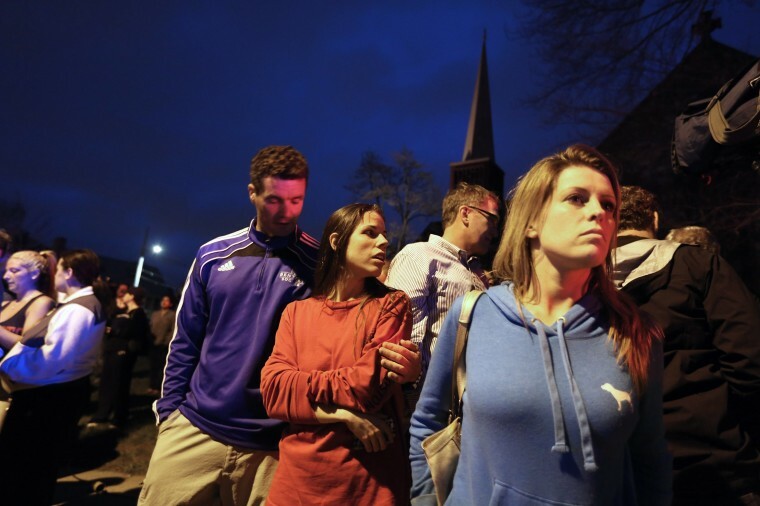 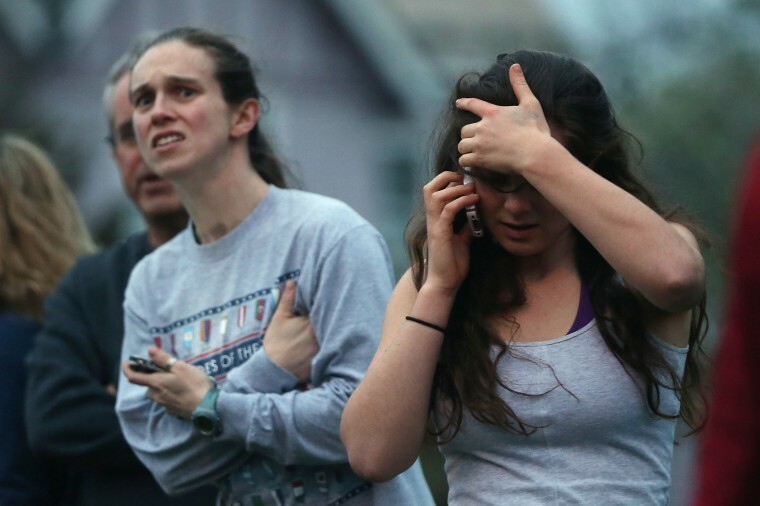 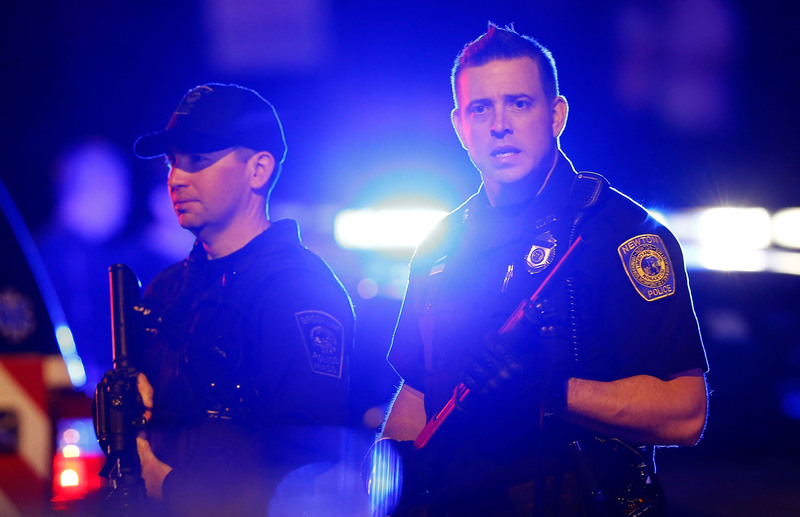 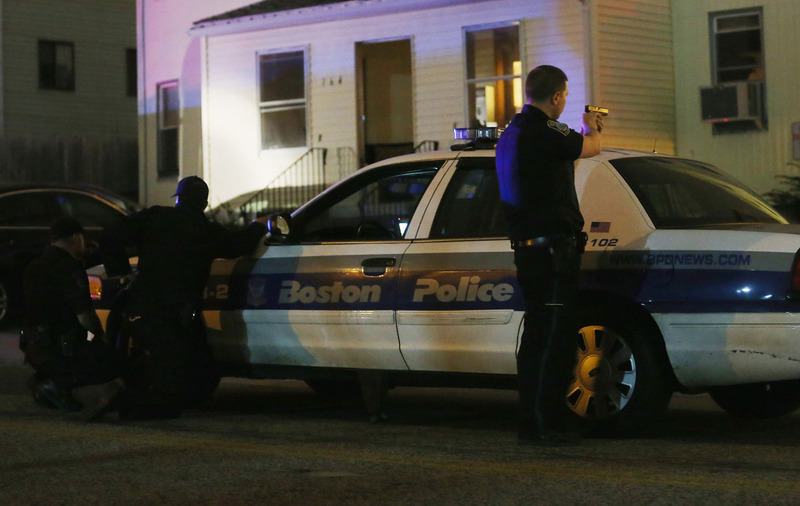 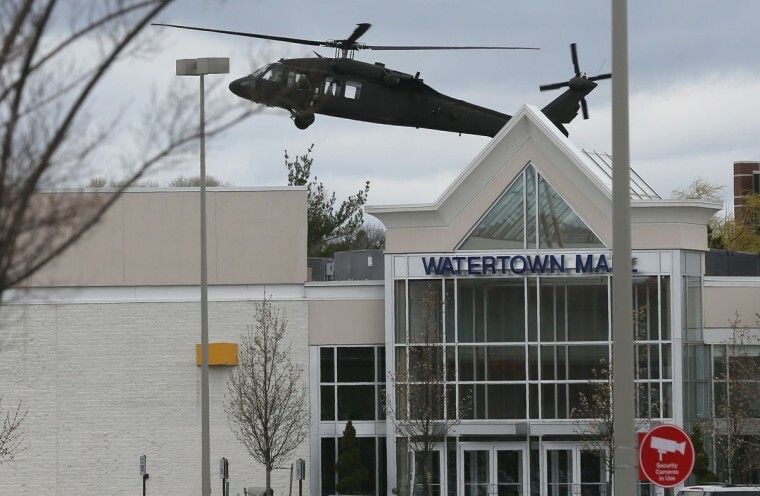 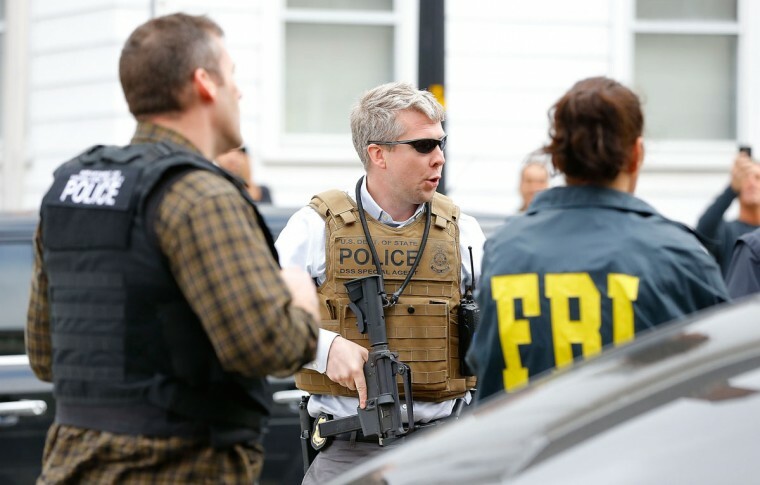 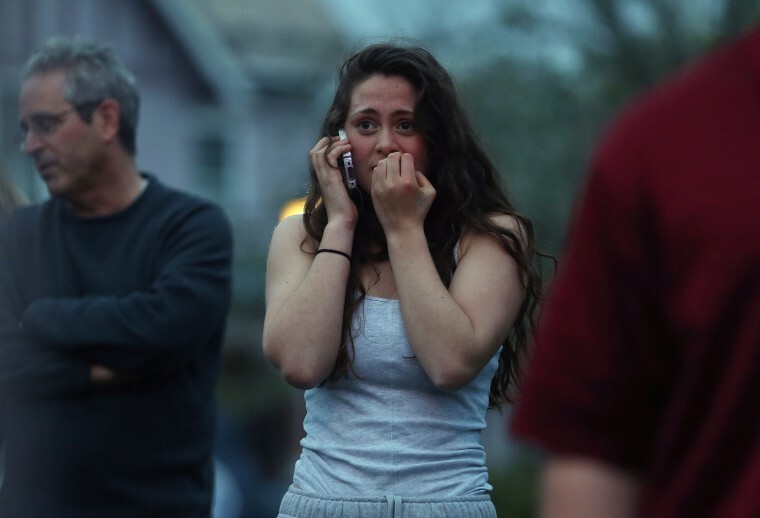 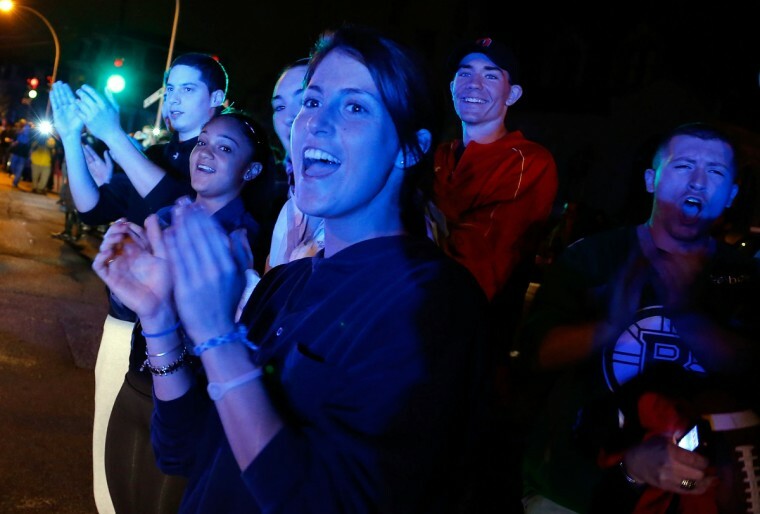 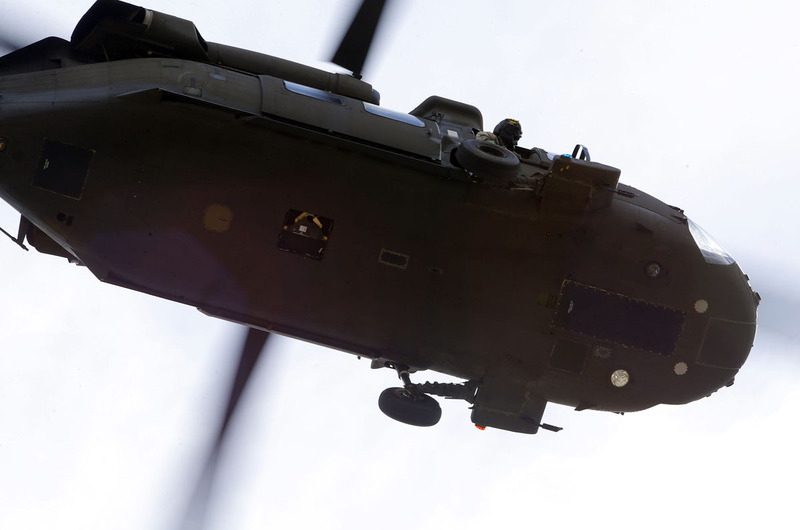 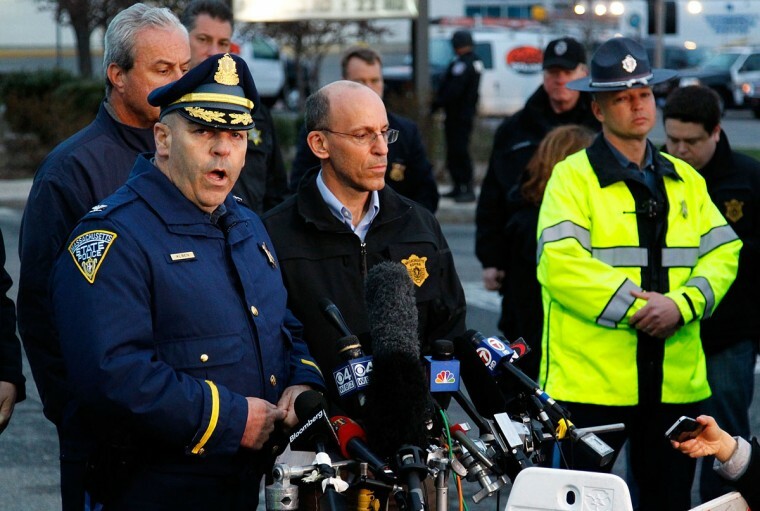 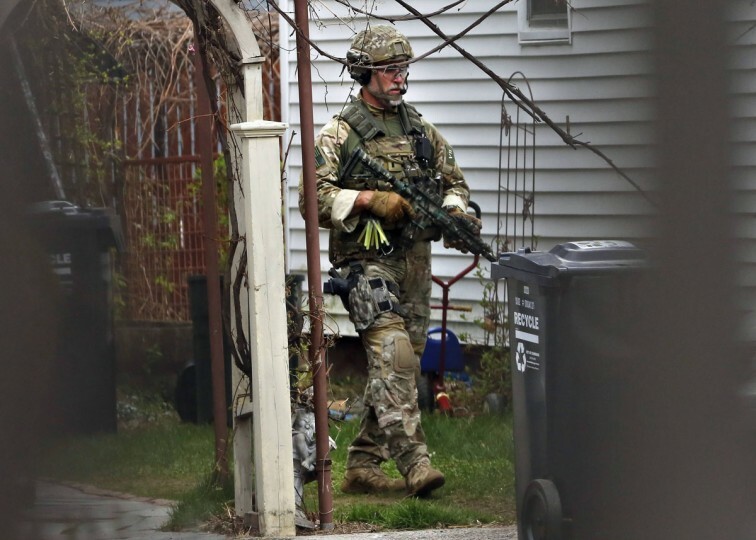 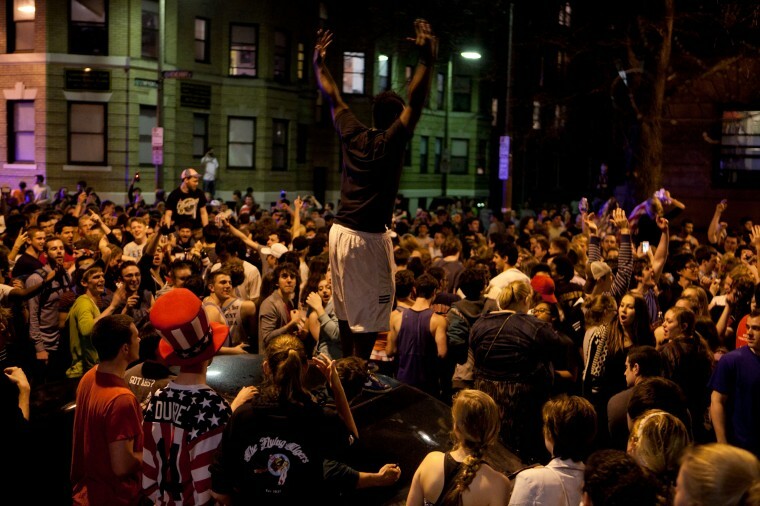 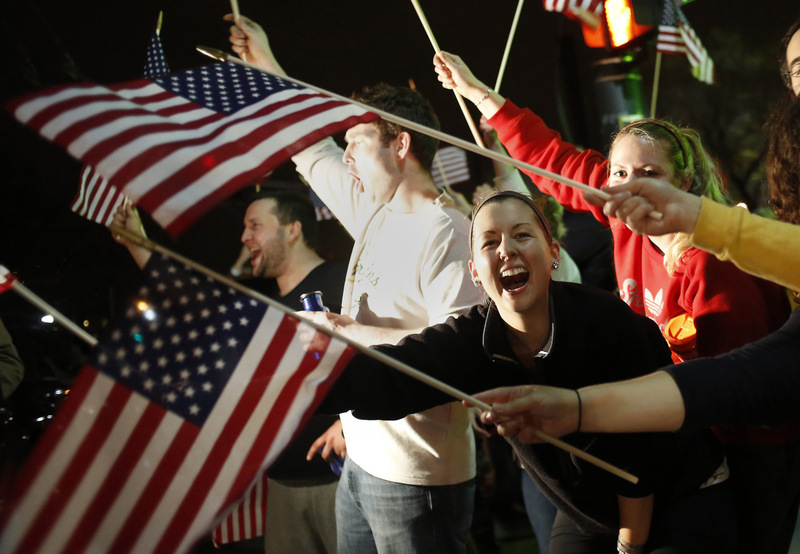 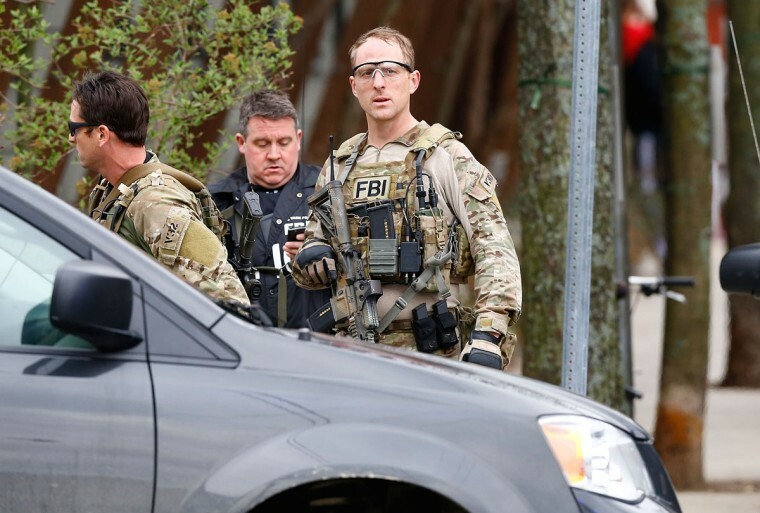 WATERTOWN, Massachusetts (Reuters) – A 19-year-old suspected of carrying out the Boston Marathon bombings with his older brother was captured by police after a day-long manhunt on Friday that closed down the city and turned a working-class suburb into a virtual military zone.